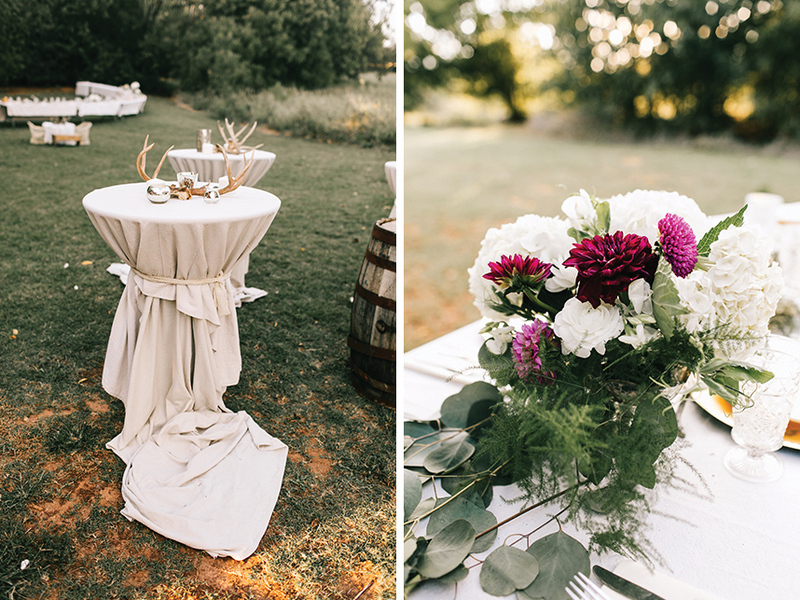 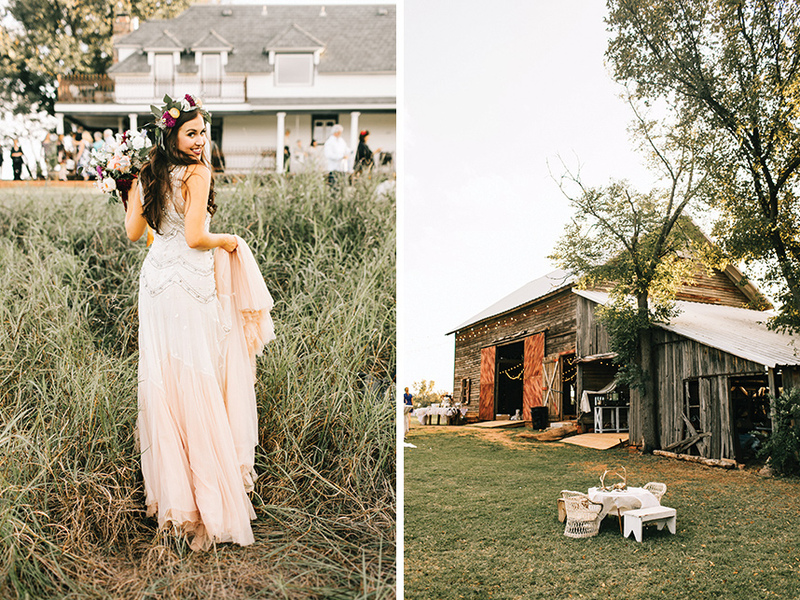 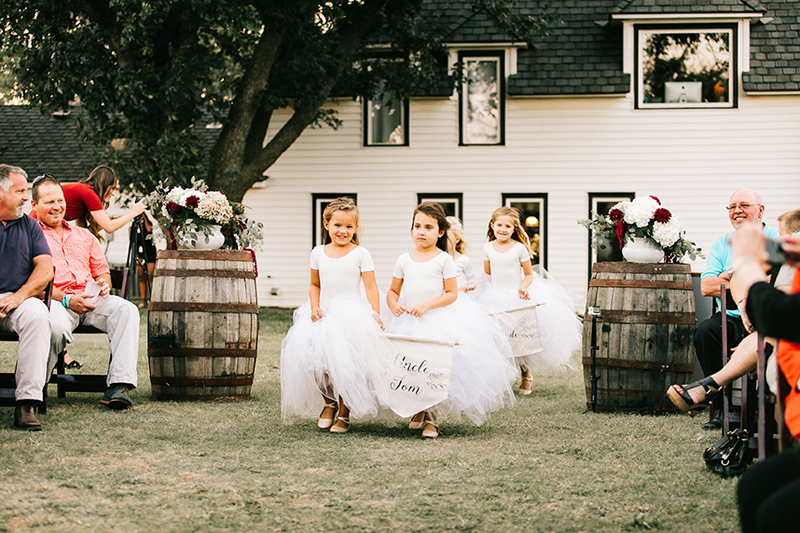 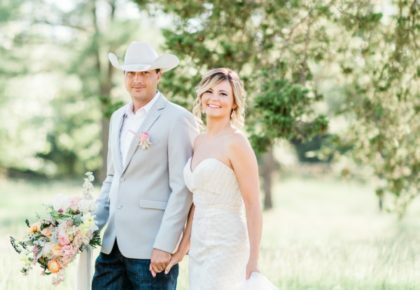 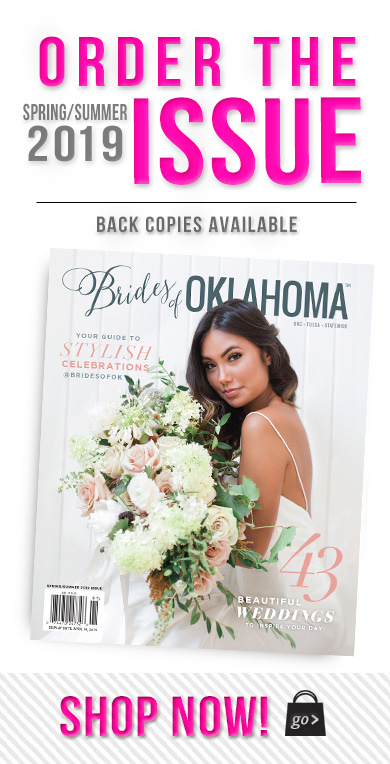 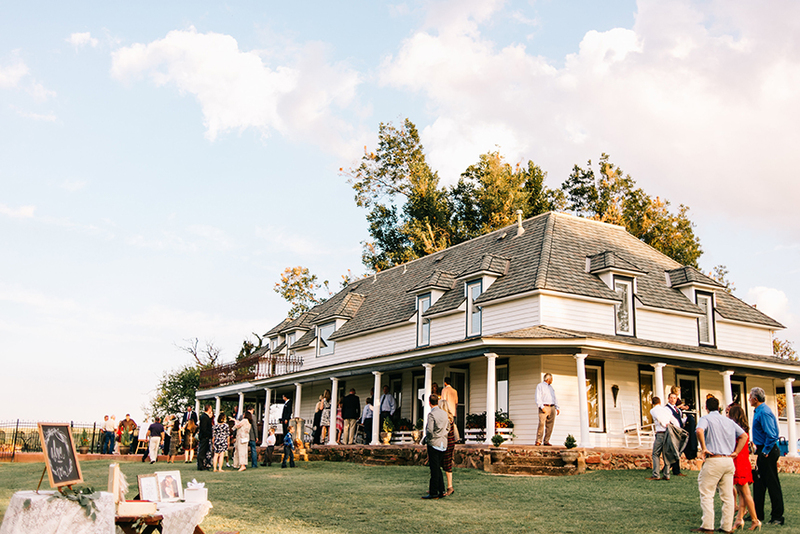 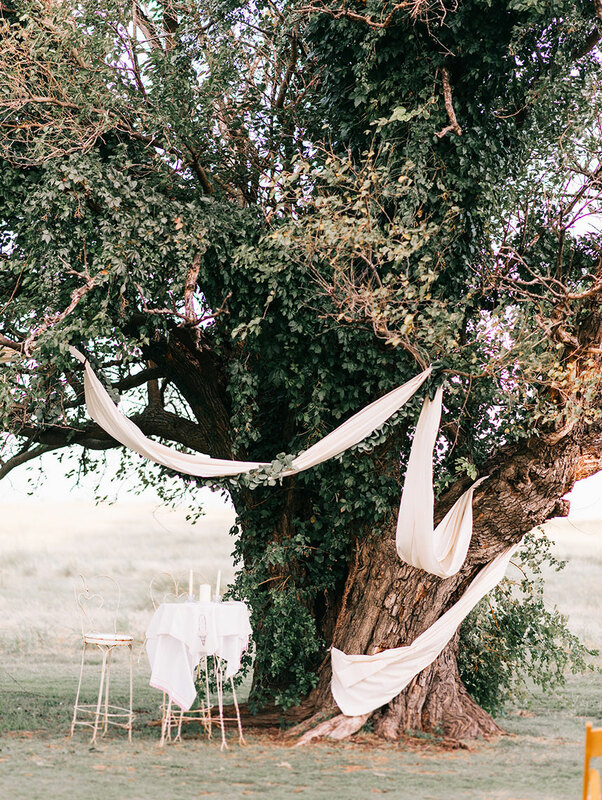 No one does rustic weddings like an Oklahoma bride! 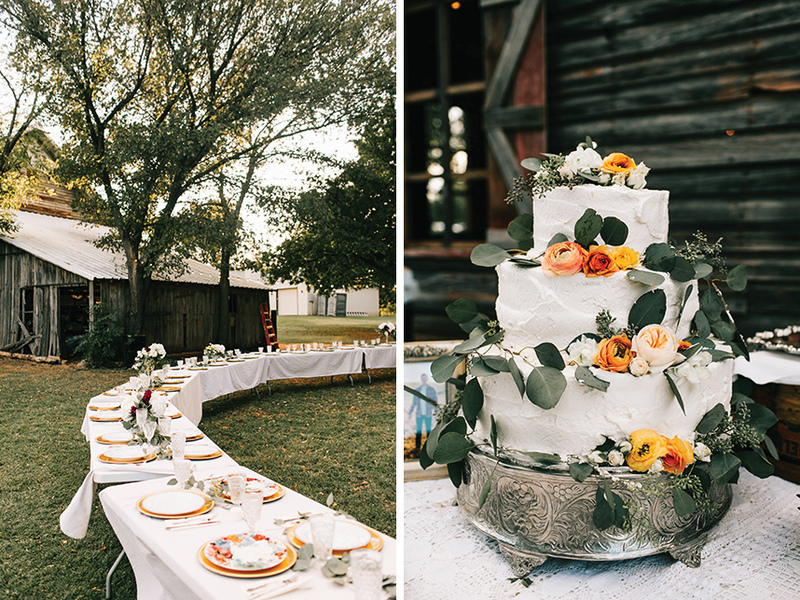 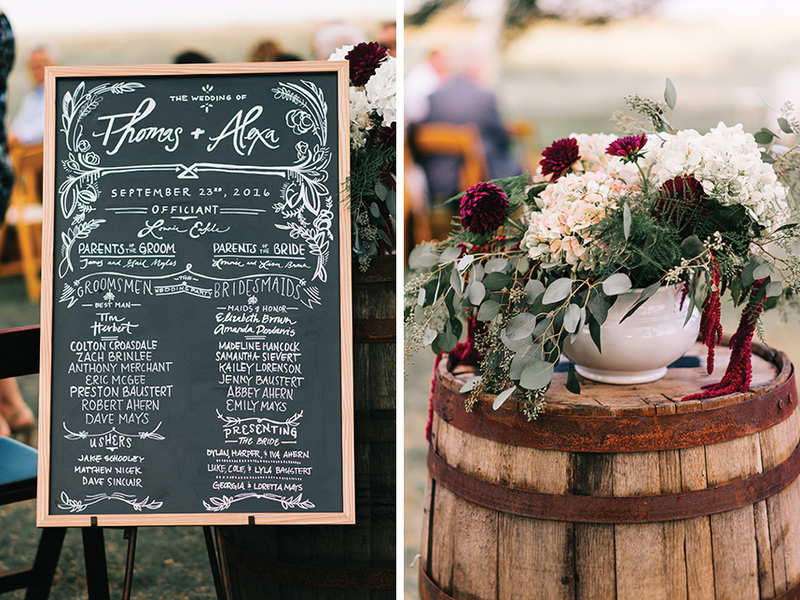 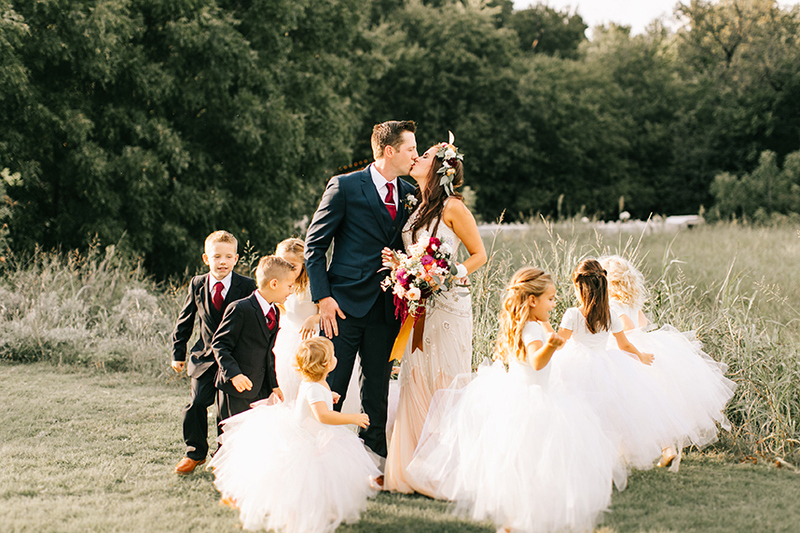 One look at Alexa and Thomas’ wedding day at The Barn at the Woods, and you know it’s something special. 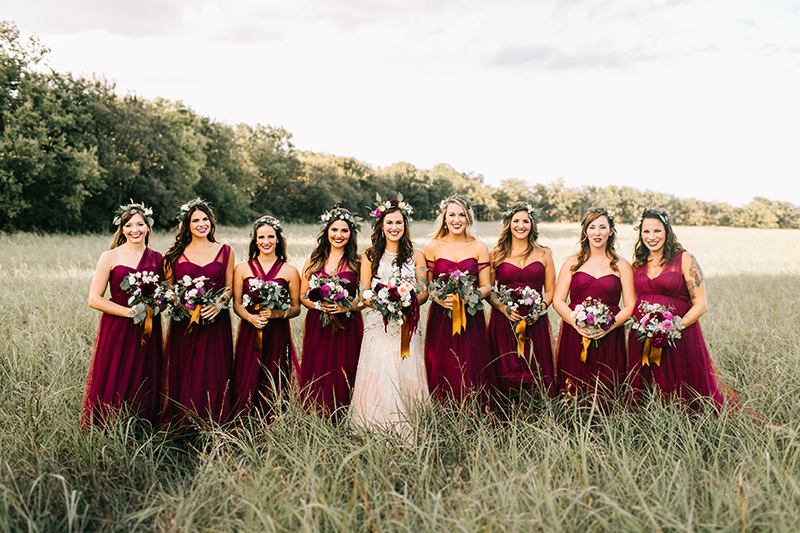 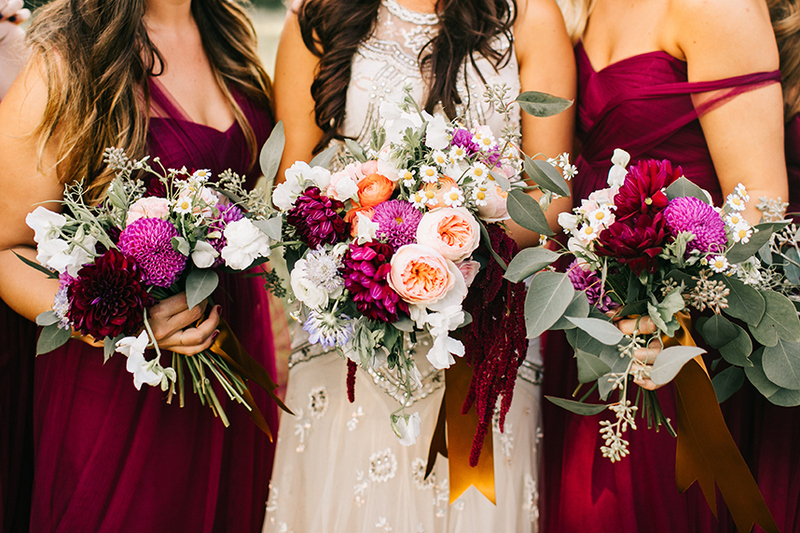 For starters, the unique and feminine wine, fuchsia and tangerine color palette sets this barn wedding apart. 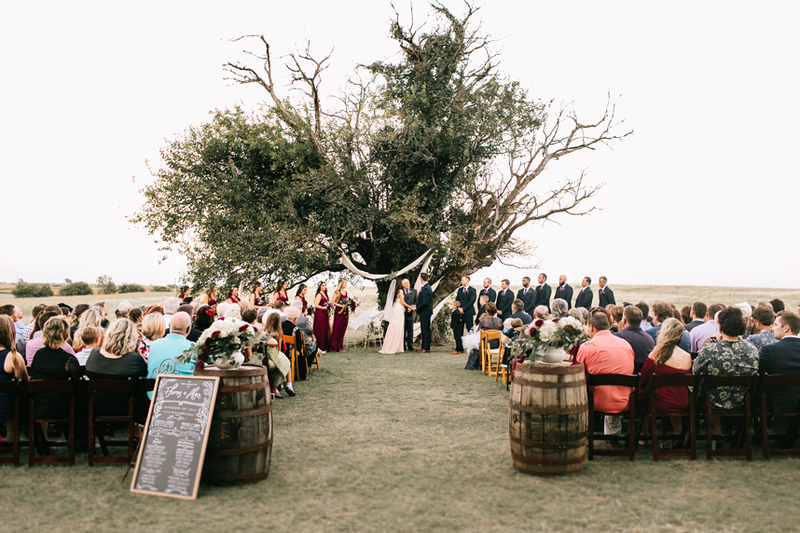 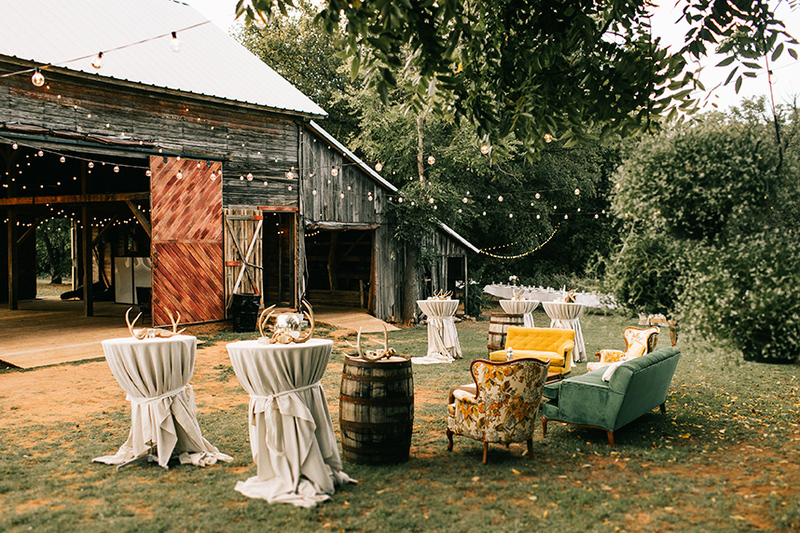 Add the winding family style tables running throughout the barn’s lawn and fabric-draped tree at the altar and the scene has instantly transformed into a unique and inviting soiree. 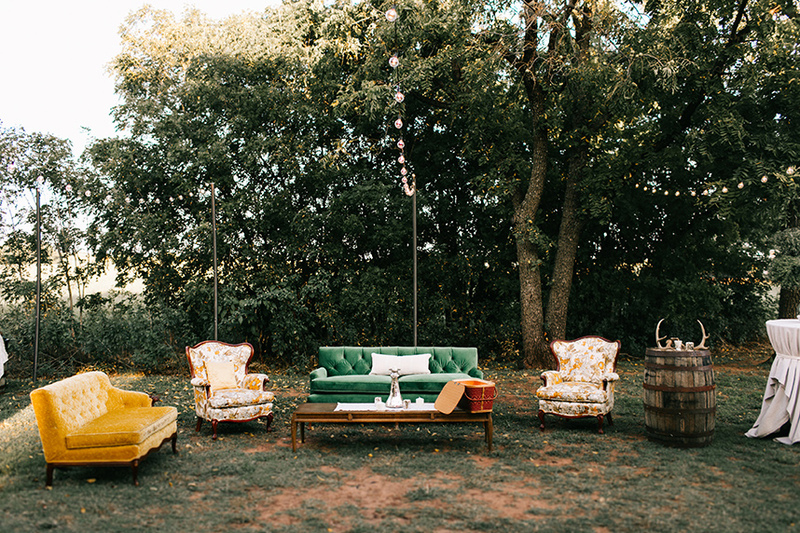 Thanks to furniture and decor from Marianne’s Rentals and Ruby’s Vintage Rentals the lounge settings and tables were set with a variety of eclectic pieces for a mix-n-match look. 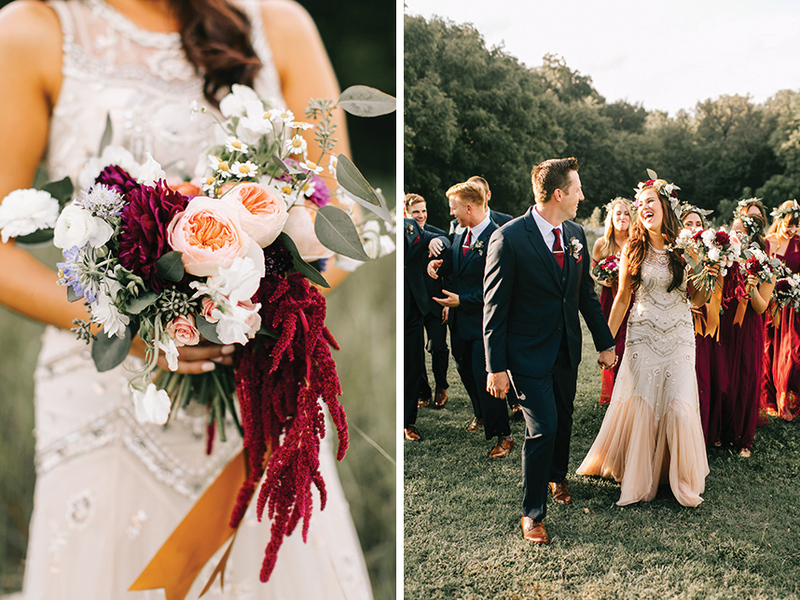 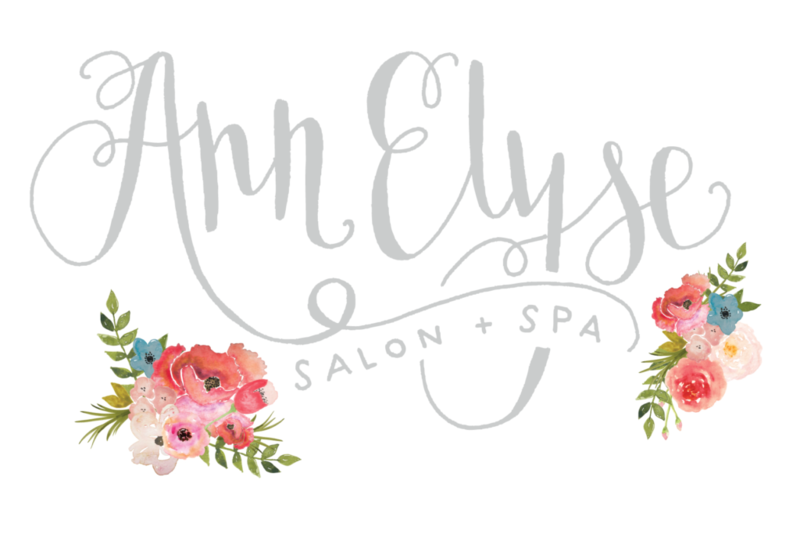 The bride, Alexa, looked stunning in a sparkling, rose-hued, ombre tulle gown, floral crown, and glamorous curls and bold makeup by AnnElyse Salon & Spa. 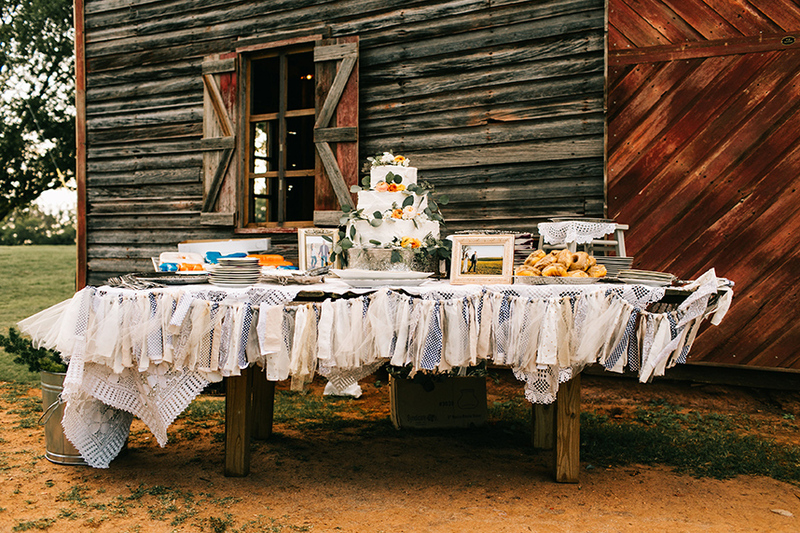 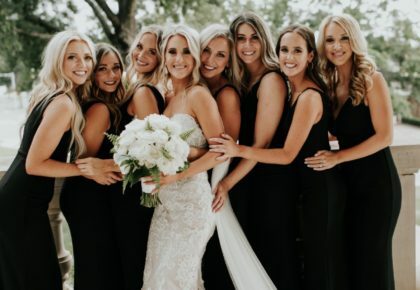 The couple celebrated the evening with a cake and donut table and bites from Interurban Catering. 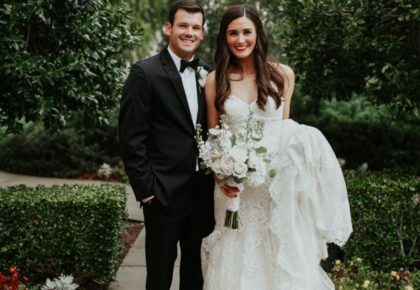 Cheers to the new Mr. and Mrs! 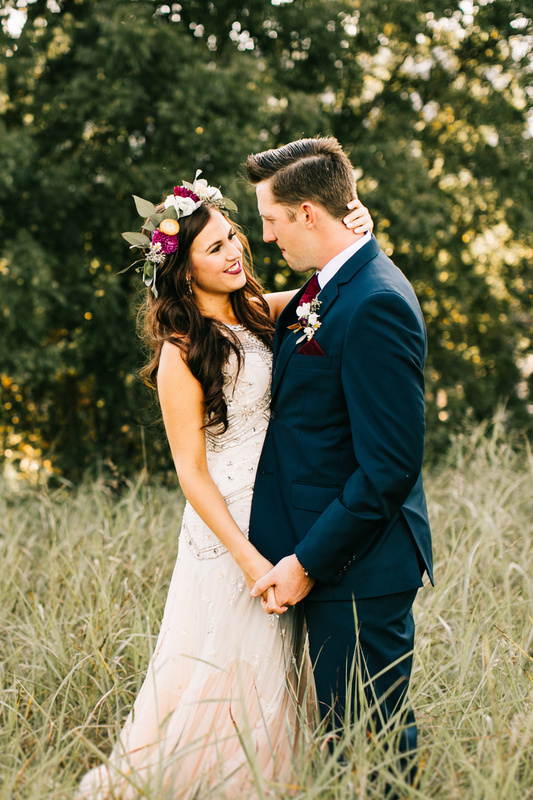 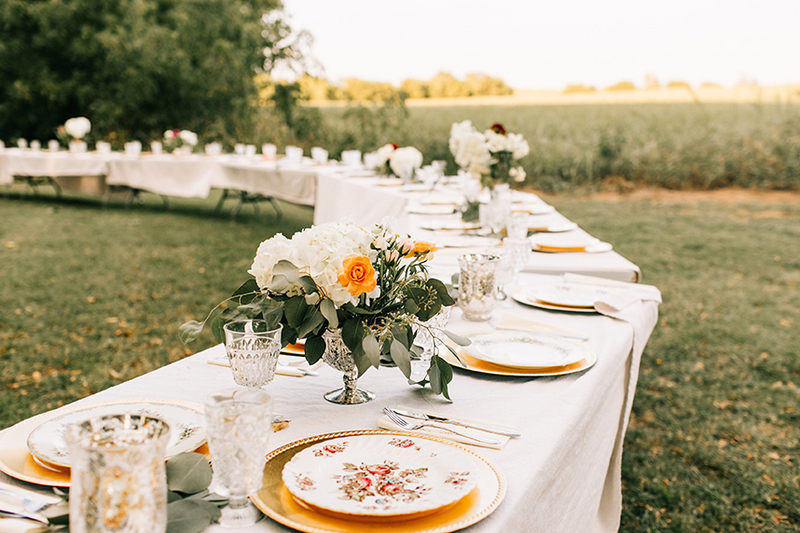 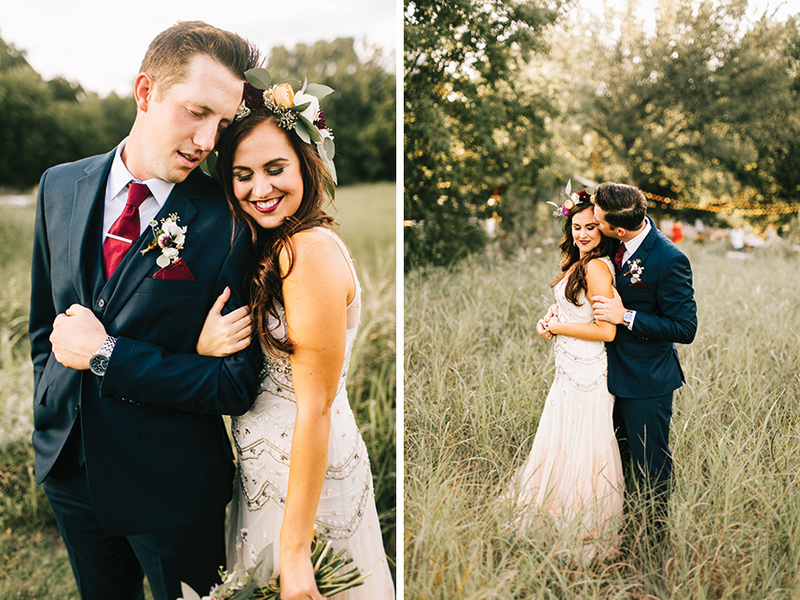 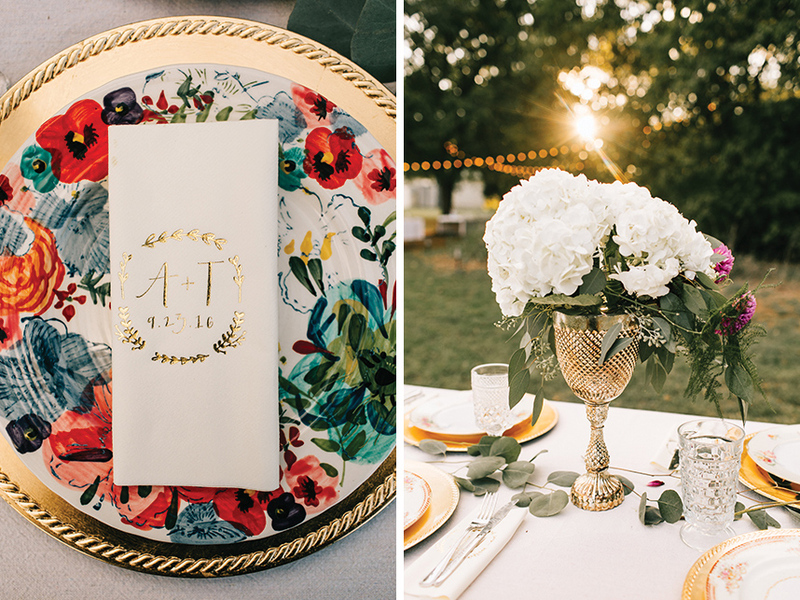 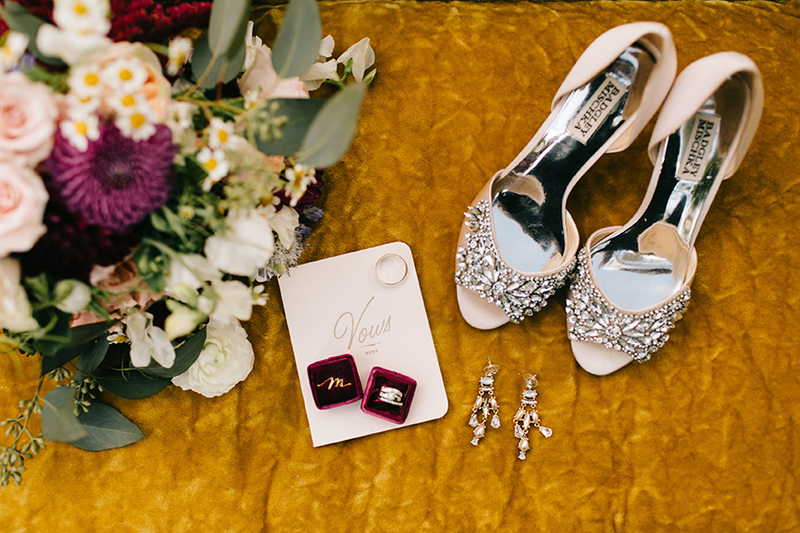 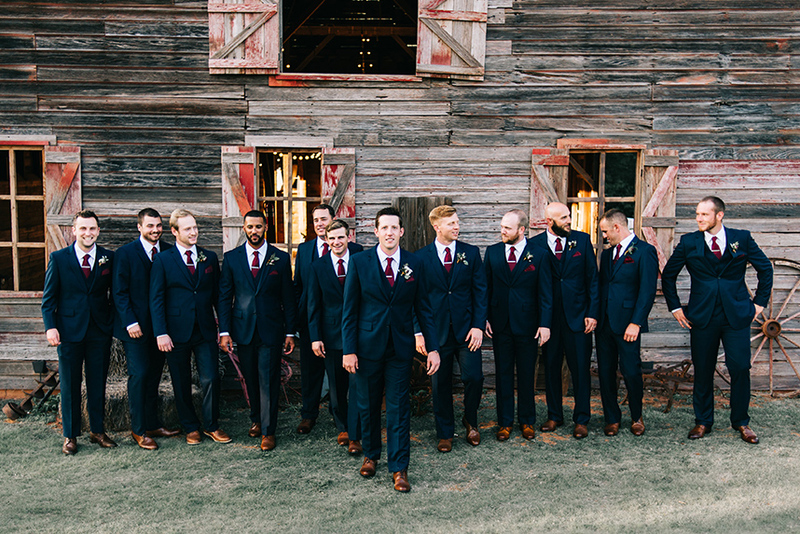 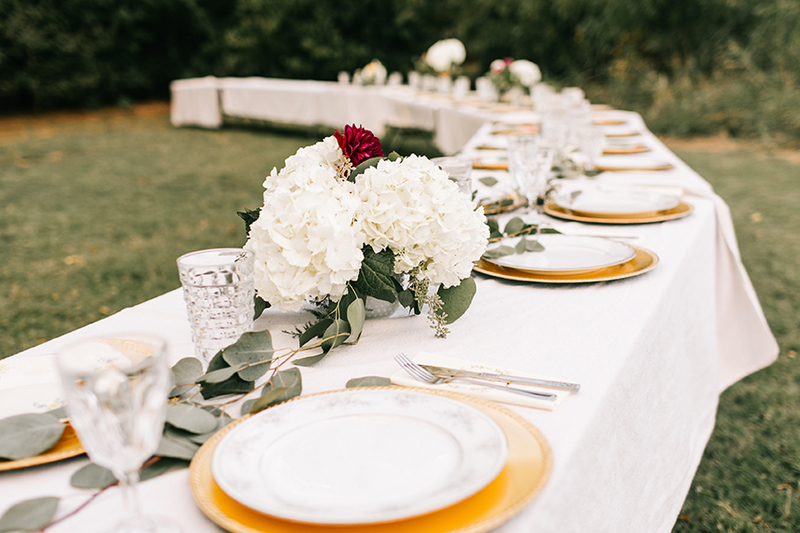 Find their wedding captured by Sarah Libby Photography in the pages of the Spring/Summer 2016 issue.